Coming in three distinct colour schemes that include Black / Clear, Aqua / White and Mauve / Shell Pink, the Grip Graphix from Belkin has been designed for the new iPod Touch. 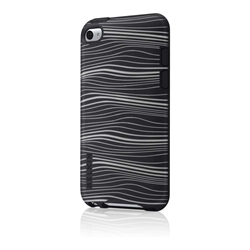 Using a soft silicon material with a stylised back, not only does it give your iPod Touch a fashion jacket but it gives your iPod Touch additional grip and we all know that every now and then, everyone gets a case of the butterfingers. In terms of protection, all sides and the back of your iPod Touch is protected and the only thing I could recommend is a Belkin Overlay Screen Protector to ensure that your screen is protected. 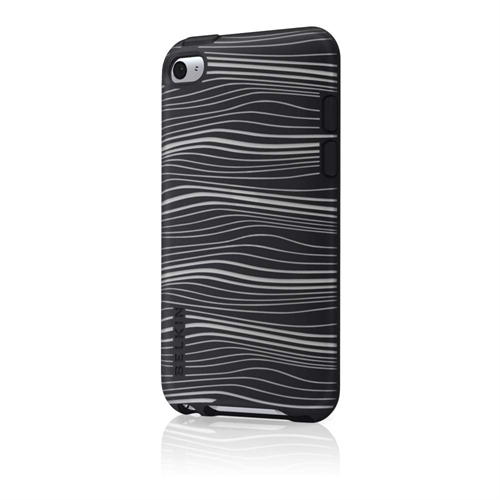 With access to all buttons, charger port and the camera, this funky looking case has been made for style! One draw back is that it is a little tight around the iPod Touch but apart from that, a great looking and functional case.